KATHMANDU, Apr. 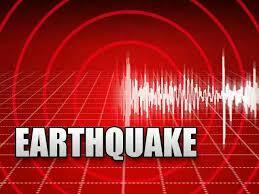 24: A earthquake of magnitude 4.2 has been felt in Sindhupalchok district at 5pm on Monday. The epicenter was identified in Sindhupalchok. According to National Seismological Centre, the tremor is an aftershock of 7.8 magnitude Gorkha earthquake that shook the country on April 25, 2015. Today is the eve of devasting Nepal earthquake's second anniversary of the Gorkha earthquake.